A couple years ago, I went to a screening for a then-new film Austenland. It had premiered at Sundance and, as far as I could tell upon initial perusal, had no Asian connection. As the editor of an Asian American women’s magazine, I normally restricted the use of my limited time to screenings of obvious relevance to our readers. But this one I could not pass up. You see, I am an Austen-phile. I should clarify: I’m a reformed Anglophile. Upon discovering Jane Austen whilst in law school (oh yeah, I just went there), I became a bona fide Austen maniac — and well before the whole Pride & Prejudice (BBC version, of course) and Bridget Jones Diary thing. Case in point: I convinced (coerced) my then-s.o. and my best friend and her then-s.o. to go on an Austen pilgrimage for two weeks in 1997: London, the Cotswolds, Rye, Lyme and Bath. We even spent time in the quaint little village where Gwyneth Paltrow and Jeremy Northam filmed the Douglas McGrath version of Emma. It was Austen-geek heaven. 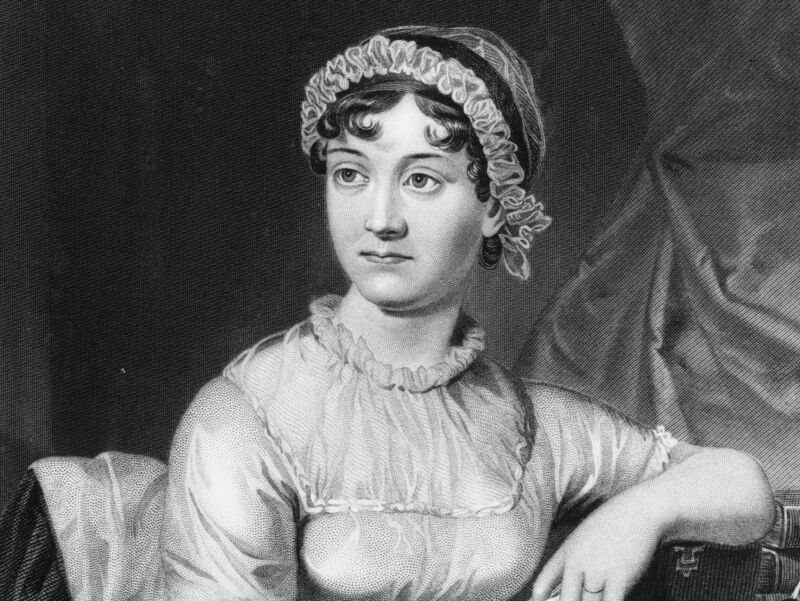 Now, why the obsession with Jane Austen? Granted, while watching Austenland, I couldn’t exactly visualize myself as Keri Russell’s character, who was living the Jane Austen-Mr. Darcy fantasy, and not just because of my Asian face. I knew those curlicued ‘dos would look just horrendous on me, not to mention the Empire-waist dresses that would only serve to highlight my weaknesses (chest) and do nothing for my strengths (legs). Even the Regency Era décor didn’t appeal to me — it was like something out of a 1980s Korean immigrant idea of wealth. Those ‘dos? They simply will not do. No, what I realized is that the social mores and values of Austen’s world in Regency Era England, circa early 1800s, were so much like the social mores and values of 20th century Korean immigrant culture, the culture I was raised in. Patriarchal society? Check. Marry a man of wealth and status? Check. Women defined by their husbands? Check. Women not allowed to speak their mind? Check. But then, once in a while, a woman who does dare to speak her mind ends up not a lonely spinster but with a singular man of significant substance and understanding. That was my life’s fantasy. Not submissive, not dainty or pretty or meek. Strong-willed, independent, wry perhaps. Many may run, but one doesn’t. One loves it. That was my fantasy. Mr. Darcy was my fantasy. That’s what I loved about Jane Austen. A strong Englishwoman of the early 1800s? Essentially, she was Asian, circa 21st century. Oh, I loved “Belle” as well. Not just because I have a penchant for pretty much anything period piece (I’m loving Cinemax’s “The Knick” right now — a medical drama with waistcoats and bowler hats? Bring it on!) but actually seeing a woman of color maneuvering in society in that time period, and it’s based on a true story. So fascinating.